The following is a list of the highest paying trifectas in Breeders Cup history. This information is not readily available on the Internet. To get the info I had to go through all the Breeders Cup results from 1984 to 2017. 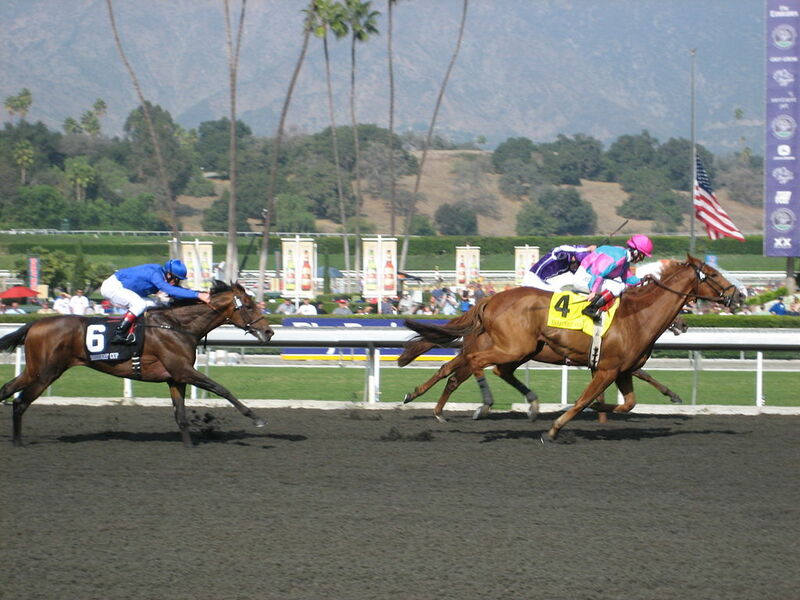 The trifecta offers horse racing bettors the opportunity to win a lot of money for very small wagers. All payoffs listed below are for a $2 bet and all ten paid at least $7,900. Not a bad payoff, if you can hit it. The Breeders Cup races offer bettors a great chance to cash very high exotic wagers like the trifecta because most of the Breeders Cup races offer large fields of horses to bet on. Generally speaking, the more horses in a race the better the chance for a high exotic payout. To win the trifecta, you have to have the first three finishers in the race in the exact order they finish. If you want to cash a huge trifecta bet on a Breeders Cup race you have to have some high odds horses on your ticket, and not necessarily in the first spot. I've listed the odds for each horse that completed the ten highest trifecta payouts in Breeders Cup history. If you are so inclined, you can study those race results and try to use that information to hit a huge trifecta this year. The highest paying trifecta in Breeders Cup horse racing history occurred in the 1999 Breeders Cup Classic when the winning 6-9-4 combo returned a whopping $39,031.20 for each $2 winning ticket. Cat Thief (19.60 to 1 odds) won the race, with Budroyale (26.50) second and Golden Missile (75.30) third. I had $5 across the board on Golden Missile and thought I was going to cash a huge ticket when he surged to the leader coming into the stretch but he flattened out and finished third. I didn't bet the trifecta. This one hurts for me to write about, but the second highest trifecta came during the 2000 Breeders Cup Juvenile Fillies when the winning 7-3-12 combo returned $18,355.80 for each $2 winning ticket. I bet $5 across the board on Caressing, who won the race and paid $96.00 to win, $34.80 to place, and $15.80 to show. I also boxed Caressing with Platinum Tiara (11.20 odds) and She's a Devil Due (8.00), who ran second and third in the race, in the exacta, which paid $940.60, but I did not bet the trifecta. The third highest trifecta in Breeders Cup history came during the 2000 Breeders Cup Mile (Turf) when War Chant (3.50) won, followed by North East Bound (42.30) in second and Dansili (12.40) third, for a 11-14-8 trifecta worth $14,007.80. Singletary (16.50) first, Antonius Pius (31.40) second, and Six Perfections (5.90) third for a 10-7-11 combo worth $12,435.20. Desert Code (36.50) first, Diabolical (5.50) second, and Storm Treasure (16.10) third for a 9-8-6 combo worth $12,369.00. 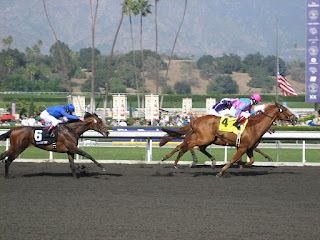 I had $5 across the board on stone-cold closer Desert Code who paid $75.00 to win, $30.80 to place, and $21.00 to show. Take Charge Brandi (61.70) first, Top Decile (5.80) second, and Wonder Gal (15.30) third for 6-11-10 winning combo. Thor's Echo (15.60) first, Friendly Island (58.60) second, and Nightmare Affair (29.10) third for a 1-2-7 combo worth $10,611.80. Court Vision (64.80) first, Turallure (11.00) second, and favorite Goldikova (1.30) third for a 9-13-1 combo that paid $9,955.20. Volponi (43.50) first, favorite Medaglia d'Oro (2.70) second, and Milwaukee Brew (24.20) in third for a 2-7-12 combo that paid $8,466.20. Wrote (11.60) first, Excaper (33.00) second, and Farraaj (8.40) third for a 5-11-4 combo that paid $8,131.20. Reraise (3.80) first, Grand Slam (32.20) second, and Kona Gold (16.80) third for a 3-14-8 combo that paid $7,946.40. This excellent wins, but not the best. I recently visited this http://evenbetgaming.com/products/sport-betting/features. The rates for a long time I do, I love to do it. For a man who is passionate about sport, it's a good way to get great bonuses to salary. The Best Sports Betting Tool I have ever used is zcode system, and I vowed to say good things about it, in as far as I want prospective sports bettors and well knowledgeable ones to succeed in betting their favorite sports. Recently I read http://lotterynewsandbettingtips.com/the-authentic-zcode-review-zcode-scam-verification-zcode-testimonial/ and saw how folks were making it big in sports bets, and I plugged in. Technically – I have increased my $150 to over 4000% yield in just 2 months. See for yourself, it’s proven and tested, and makes you understand the fundamentals of betting!